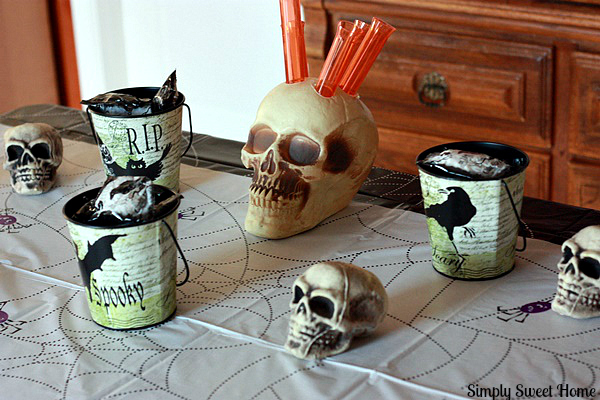 Whether your looking for chic home decor, spooky ghouls and goblins, or cute party favors for the kids, they have you covered! When selecting items from Oriental Trading, I wanted to find an assortment fit for an adult or children’s party, and I wanted to find items that followed a theme. I was excited when I found all this great black and white decor. I’ve seen so many people use similar items to create a mantels and tablescapes with a gothic, yet shabby chic appeal, that I just HAD to have this stuff! We haven’t had a Halloween party yet this year, so for today’s post, I’m doing “Halloween party preview.” That is to say, I’m showing off the items that I received from Oriental Trading and just showing how and why I love these for upcoming Halloween parties and events! As it happens I was an English major in college, and I always enjoyed literature by Edgar Allan Poe and novels like Frankenstein and Dracula. So this decor featuring the skulls, black cats, and ravens reminds me of the classic literary eras horror genres, which I love. 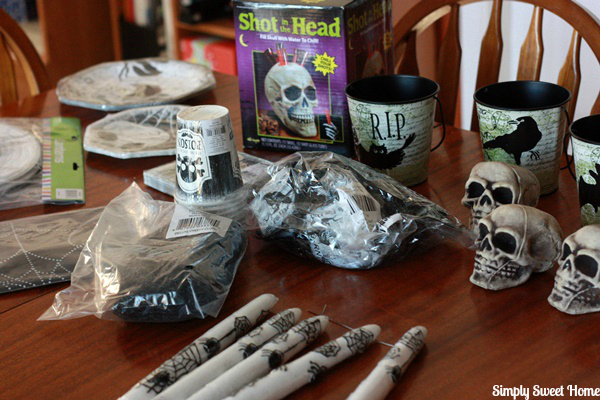 I was able to find a great assortment of skulls, including the “shot in the head skull” a perfectly fun piece to help you serve up shots for adults or juice drinks for kids. 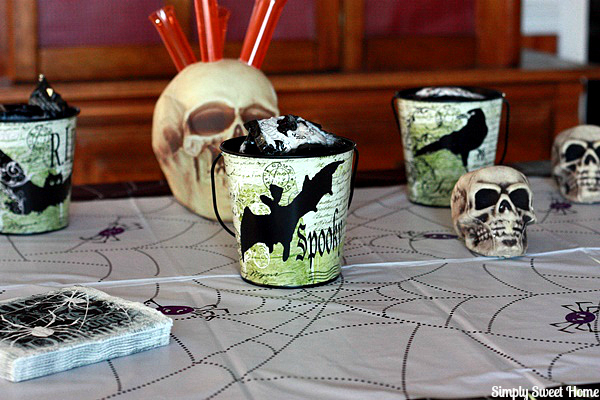 And these cute buckets are great for your party favors and treats. 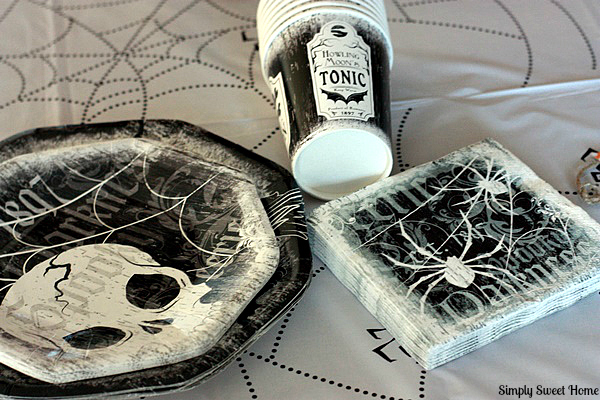 Additionally I picked up a cute spider web table cloth, and these gothic style plates, napkins, and potion bottle cups. Finally I wanted to get some lighting accents. One thing I picked up was this set of spider web candles. 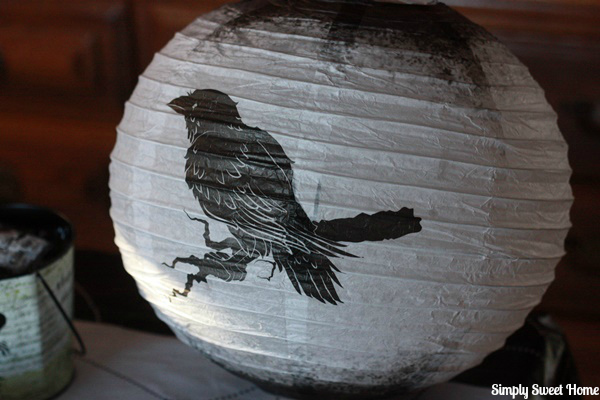 And finally, I got a set of black and white lanterns. These are great to hang from a light fixture or hang on the wall. And they also look great on your party table! 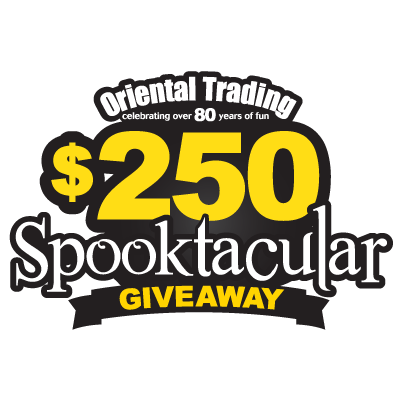 Through October 17, Oriental Trading is giving away a $25 gift card each day + a $250 weekly prize! 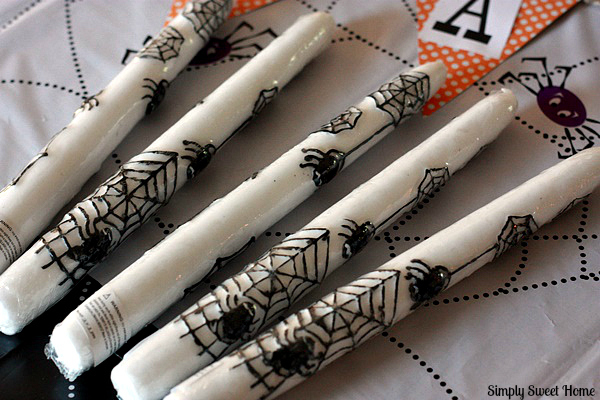 Visit the Spooktacular Giveaway to enter! I’m absolutely going to have to check out their sweepstakes. I’ve ordered from Oriental Trading before but it’s been a while. I really like the Halloween décor you received for your party.